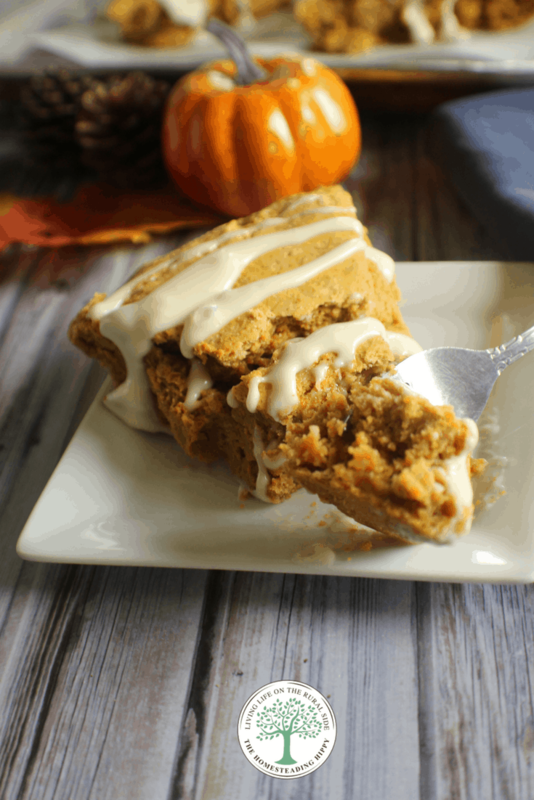 Pumpkin Scones-All The Flavors Of Fall In One Treat! All the flavors of fall in one delicious treat! Try these pumpkin scones today! Fall is in the air, and with it comes apples, peaches, pears and all things pumpkin. I love baking with pumpkin, as it adds such a delicious flavor to foods and creates a moist texture that’s just amazing. Pumpkin scones just make my mouth, stomach and heart happy. Making pumpkin scones is actually kind of fun. You can get your hands in there to cut the butter into the flour, giving you the perfect workout. The addition of the spices of fall are energizing and yet relaxing. Of course, there IS the fact that you are making yummy scones on top of it all, right? Let’s not forget the health benefits of pumpkin itself. The orange globes of happiness are packed with zinc, selenium, Vitamins A, C, and E, folate, calcium, iron, magnesium and potassium. That makes it a powerhouse of nutrition! Of course, the orange color also lends to the fact that is loaded with antioxidents and beta carotene. All that, in a delicious treat to boot! When my youngest was a baby, he used to love the squash, carrots and pumpkin. We used to call him our “Little Pumpkin” because he loved and ate so much of those foods that his nose and cheeks were actually orange! The beta carotene stained his skin from the inside out! I miss those days, really. Now, he’ll eat his vegetables only because he “has” to. Why do babies need to grow up, anyway? So, pour yourself a cup of tea and enjoy these pumpkin scones. Put your feet up and revel in moment of silence, if you can find it. Those moments are still hard to find in a house with 3 teenagers…Don’t forget to pin this for later, too. What’s your favorite fall treat? Are you ready to try pumpkin scones? All the flavors of fall in one delicious treat! Begin by mixing flour, sugar, baking powder and spices together. In a separate bowl, mix the eggs, milk and pumpkin puree. Sprinkle the pumpkin seeds over the scones. Bake in a preheated 400° oven for 18 minutes. Cut into triangles, then place on parchment paper lined baking sheet. Return to oven for an additional 5 minutes. Allow to cool on cooling rack, then add frosting if desired. Blend softened cream cheese with maple syrup until well mixed. These look delicious!! I cannot have wheat flour. What type of flour could I substitute to make them grain free?